Transparency International's Global Corruption Barometer 2013 report once again confirmed Azerbaijan's advances in the fight against corruption, a senior Azerbaijani official has said. Fuad Alasgarov, head of the Department for Work with Law-Enforcement Bodies at the Presidential Administration, said 68 percent of respondents hailed the measures taken by the government to fight corruption as effective and the inidicator is three times more than the average world rate of 22 percent. Alasgarov said in a recent interview with AzerTac state news agency that more than half of respondents believe the level of corruption in their countries has increased over the past two years, while in Azerbaijan, 73 percent of those polled said the level of corruption in their country has not increased. According to the report, the overall level of corruption has decreased in Azerbaijan. "The achievements in the fight against corruption are the result of the political will of the President of the Republic of Azerbaijan and the concrete tasks entrusted by him to government agencies," he said. According to Alasgarov, this report of Transparency International is fair as Global Corruption Barometer draws on public opinion surveys from 107 countries. "The fact that the report is not based on subjective opinions and describes the global picture of corruption ensures the objectivity of the results. Thus, the Barometer demonstrates the real situation on the subject," he said. According to him, the most important result of the consistent anti-corruption efforts made in Azerbaijan is that people can feel positive changes in their everyday life. Alasgarov went on to say that the report covers the year 2012 and partially 2013. However, if the survey were conducted today, the result would have been much higher as President Ilham Aliyev has ensured the dynamics of the combat against corruption and conducted systematic, institutional reforms in various areas. "For example, the implementation of the President-approved National Action Plan on Open Government and National Action Plan on Combating Corruption ensure building transparent, open government principle-based management in state bodies and corruption-free management atmosphere," he said. The National Action Plan on Open Government and the National Action Plan on Combating Corruption covering the period 2012-2015 were adopted by a decree of the President of Azerbaijan on September 5, 2012. The Action Plan on Open Government defines measures for state bodies on delivering information about their activity to the public, increasing the role of the public in decision-making, expanding online services and increasing the quality of services provided to citizens. According to Alasgarov, this also includes measures to expand the use of electronic services and develop electronic government. "The ASAN service established by the Azerbaijani President ensures the implementation of the services to be rendered by state entities in a unified and coordinated manner without any corruption and other negative instances. Some 230,000 citizens have used the ASAN service since its inception, with 98 percent of the applications provided," Alasgarov said. 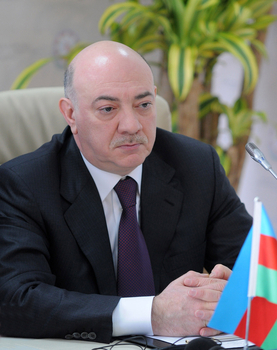 Alasgarov said measures have been taken in order to improve the activity of the Azerbaijan Prosecutor General's Office Anti-Corruption Department for strengthening criminal prosecution as part of the fight against corruption. "The work of the department's '161' hotline has been fully organized, and the process of considering and responding to citizens' applications has been improved," he said. Moreover, reforms in interior bodies, in particular, increasing transparency in the activity of the road patrol service and the creation of the "safe city" system have had their effect as well, Alasgarov said. According to him, enlightenment activities and cooperation with members of the civil society have also positively influenced the results. "Active participation in this process of all members of society - the private sector, mass media, non-governmental organizations, and citizens - is of profound importance. From this point of view, it is a positive fact that 81 percent of respondents expressed their desire to be closely involved in the process," Alasgarov said. The combat against corruption is one of the main trends in Azerbaijan. Besides internal endeavors, Azerbaijan has joined the UN Convention against Corruption, the Criminal Law Convention on Corruption of the Council of Europe, the Civil Law Convention on Corruption of the Council of Europe as well as the UN Convention against Transnational Organized Crime.